Roughly two months after our first Great Lakes Young Birders Camp, I received an email from Natalie White, one of our campers, inquiring about ways to donate money to Michigan Audubon. 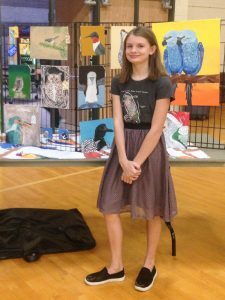 Her inspiration, “So kids like me who love birds can have scholarships for bird camp.” This 14-year-old from Grand Rapids paints birds as a hobby and decided to put her talents to work for the cause. 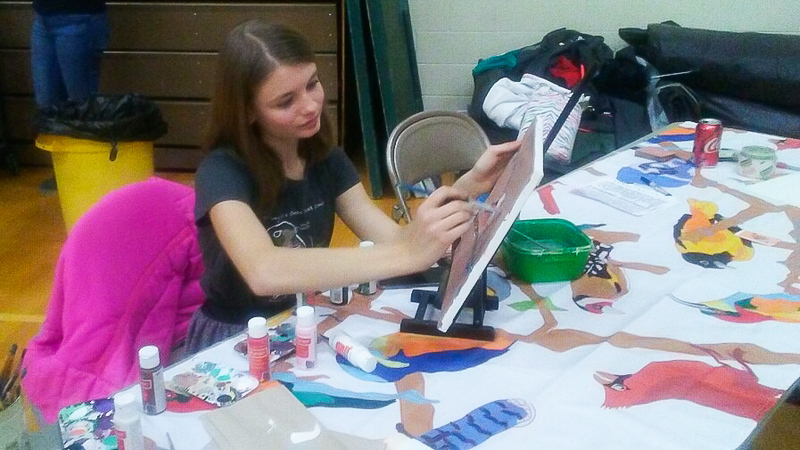 On November 3, Natalie took part in an art show where she displayed information to raise awareness about the Great Lakes Young Birders Camp and pledged to donate half of her proceeds to help fund scholarships for future young birders. The event proved to be an amazing success and Natalie generously contributed $250 toward camper scholarships. Bolstered by the positive feedback she received, she is currently working toward selling her remaining paintings so she can continue to give back. As the Education Coordinator for Michigan Audubon, I work on many projects that excite me but camp is particularly special. The impact it had on the participants and myself during its inaugural year was more than I could have imagined. The Michigan Audubon staff and board greatly appreciate and applaud the philanthropy it inspired in Natalie. We are all so lucky to be part of something that can help young birders meet one another and share experiences that will help shape the next generation of bird conservationists! More information about the 2019 camp will be made available soon! If you are interested in staying up-to-date on the latest happenings for Michigan Audubon, sign up to get updates sent directly to your inbox through our monthly eNews or follow our Facebook page.